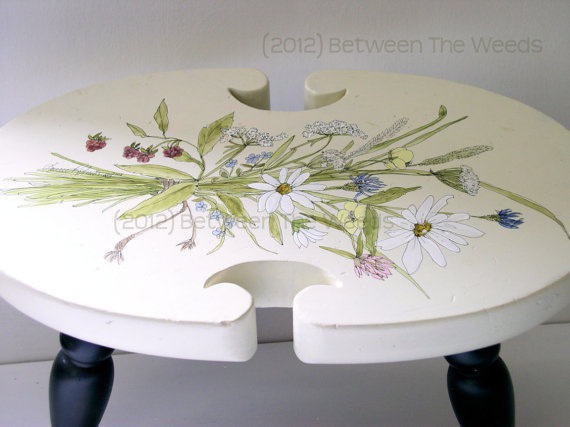 SOLD Vintage painted furniture cottage farmhouse stool is hand painted with a botanical garden bouquet laying across the top of this sturdy step stool or footstool made by Ethan Allan. The legs are painted a luminous black and the top is a creamy white. Everything is sealed with a satin lacquer and waxed. Keep it under the sink for your kids or set a cup of tea on it while reading a great book. 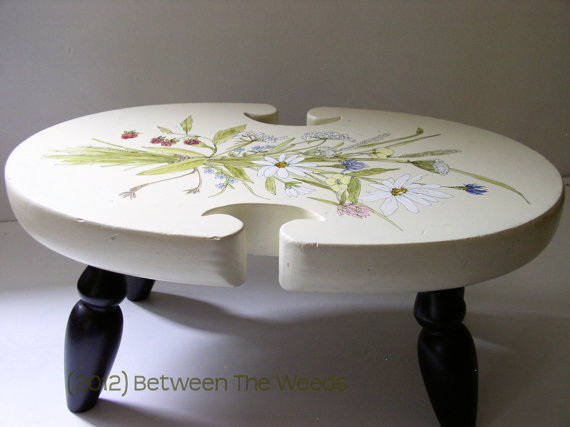 Set it up on a table for plants or just to add some interests and height in your decor.